WAGYU BEEF DISHES ON OFFER! 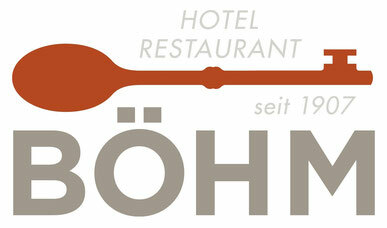 Our chef Henry Böhm and three other chefs from our region are offering various Wagyu beef dishes. They want to draw attention to the local culinary delights and support our local farmers. Since Saturday, March 3rd we have been offering various fine dishes made from high quality regional Wagyu beef. The corresponding newspaper article (unfortunately only in German). 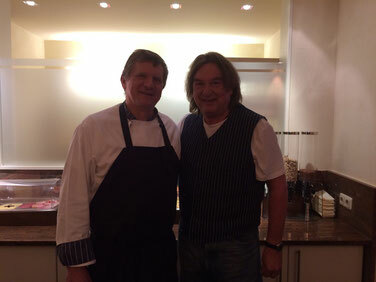 TWO CELEBRITY CHEFS IN PRIVATE! The TV cook Fritz Häring came among the common people this week. 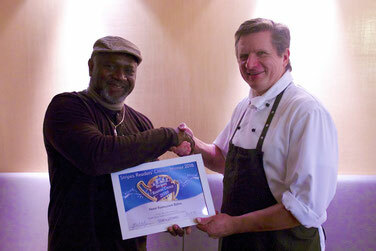 He was in Grafenwöhr and stayed overnight at our Chefs hotel. We were selected as winner of the category best German restaurant 2016 by Stars and Stripes. All US-Americans living in Germany and readers of the daily newspaper Stars and Stripes were allowed to select. Our heartfelt thanks to everyone who voted for us and be assured that we are fully committed to providing you the kind of food experience every day again that enabled us to win. 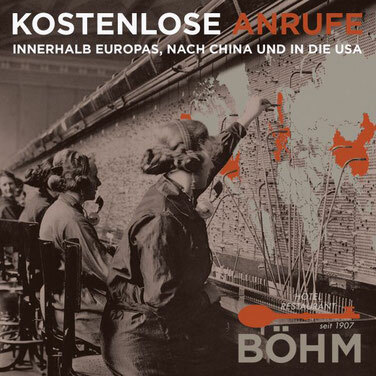 ANCESTOR AUGUST BÖHM MENTIONED IN ARTICLE ON DEMOCRATIC LANDSCAPE AFTER WW II. The local newspaper (Onetz) posted an article on the developing democratic landscape of Grafenwöhr after the end of WW II (unfortunately only available in German). This article mentions our ancestor August Böhm (former vice mayor of Grafenwöhr). He was the grandfather of today's owner Henry Böhm. Interesting side fact: the front of today's dining area is named after him ('August') whereas the back part is named after his wife Maria. The media and presentation room is named after the father ('Paul') of Henry Böhm. You may find the article here. 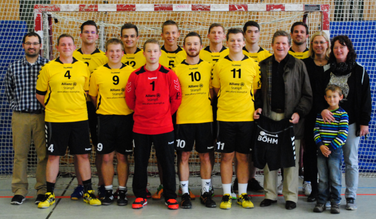 On the occasion of the home match against Amberg II, Allianz Stümpfl as the main sponsor as well as Hotel Restaurant Böhm and Promotion & Print handed a set of jerseys to the handball team of Grafenwöhr. The team thanked the sponsors for their commitment and hopes to have an additional incentive for the upcoming season with their new jerseys.